At a special ceremony held in front of the Municipality building in the village of Hitrino, the keys to the 10 houses built and donated by companies-members of the Bulgarian Construction Chamber (BCC), were handed in to the affected families from this settlement. The event was attended by the Chairman of the MB of BCC Eng. Iliyan Terziev, the Executive Director of the Chamber – Eng. Miroslav Maznev, representatives of the companies-donors, the Mayor of Municipality – Nuridin Ismail, the Deputy Minister of Labour and Social Policy and Chairperson of the Management Board of the „Social Protection” Fund – Lazar Lazarov, Dr. Nikolay Chobanov – Chairman of the „Bulgarian Red Cross” (BRC) in Shumen, etc. The companies-members of BCC, that gratuitously donated houses in Hitrino are as follows: „Glavbolgarstroy Holding“ AD, „GP Group“ AD, „AT Engineering – 2000“ OOD, „Bildnix“ EOOD and „Midia Group Holding“ AD, „Geostroy“ AD and „Geotechmin” OOD, „Hydrostroy“ AD, „Planex“ EOOD, „Trace Group Hold“ AD, „Avtomagistrali – Tcherno more“ AD, „Cristalna voda” AD. The Mayor of Municipality Nuridin Ismail thanked BCC and the companies, that had built homes for the people. He underlined that the administrative procedures had taken up almost half an year, and after that the houses were constructed in a very short period and with a high quality. „Yet in the beginning of the previous winter, thanks to the constructors, the most heavily affected families already had new homes”, pointed out the Mayor of Hitrino. „This is an exceptionally exiting moment and I am grateful that, in my capacity of Chairperson of the Management Board of the Bulgarian Construction Chamber, I am honored to participate in this ceremony for symbolic handing in the keys to the houses, constructed and granted by the companies-members of our organisation. I am glad that we are here together with the colleagues, representing the companies-donors, and with the families, for which homes have been built”, pointed out Eng. Iliyan Terziev. „After the tragic accident BCC was among the first, who responded, and its representatives on the very next day arrived at site, here in Hitrino, in order to offer help and support. BCC set up a donation account with BGN 50 thousand, and companies-members of our Chamber built, for free, 10 houses for those affected families, that had been appointed by the Public Council”, underlined Eng. Terziev. „I would like to thank those who built these 10 houses, for their professionalism, but most of all – for their humanity and for their big hearts!“, the BCC Chairman had stated. Eng. Terziev thanked the Mayor and the administration of the Municipality for the fruitful collaboration. „I cannot miss to note the successful cooperation that we had with the Mayor of Hitrino Nuridin Ismail throughout the overall organization and preparation period of the construction, and after it has started. Without this synchronization of work in between the local authorities and the builders, the construction and repair works could not be realized in such very short, actually, time-frame“, aslo pointed out the Chairman of MB of BCC. He finished his speech by wishing that all future visits to Hitrino are to be on good occasions, such as the construction of new infrastructure projects that would make Hitrino more modern and attractive to its residents and guests. 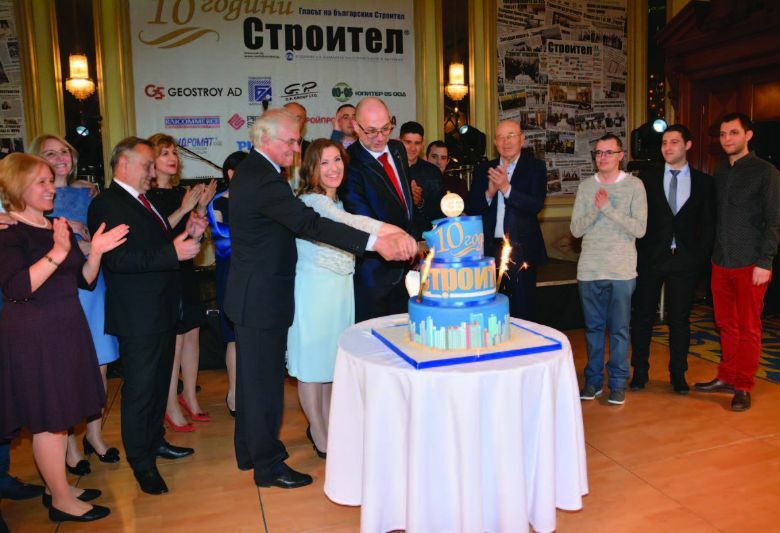 „For the Bulgarian Construction Chamber Hitrino is and will always be a very special place!”, underlined Eng. Terziev. Other 12 families got new homes. They were built with the resources provided by the „Social Protection” Fund within the Ministry of Labour and Social Policy. Because of the high media interest, prior to handing in the keys to the newly built houses, a press conference was held in the premises of the Municipality with the official persons. „Two years are long time for some people, for others – it is a short period. As may be, for those who have no idea about the process of recovery after such a damage. For us here in Hitrino, this period has past imperceptibly. Unfortunately, during that period, some had been seeking for political interests. While we, the people from the municipal administration, from the „Social Protection Fund” and the BRC, had been seeking after how to solve the problems”, said the Mayor of Hitrino Municipality. He had explained, that in the moment an intensive preparation of procedures is going on and that there are already signed contracts for recovery of the public infrastructure. „The pretty as a picture Hitrino, of which the Premier Boyko Borissov was talking, is going to become a fact. At this time in the next year, when we hopefully would be safe and sound, we are going to invite you here again, so that you can see and make sure”, were the words Nuridin Ismail addressed to the representatives of the media. 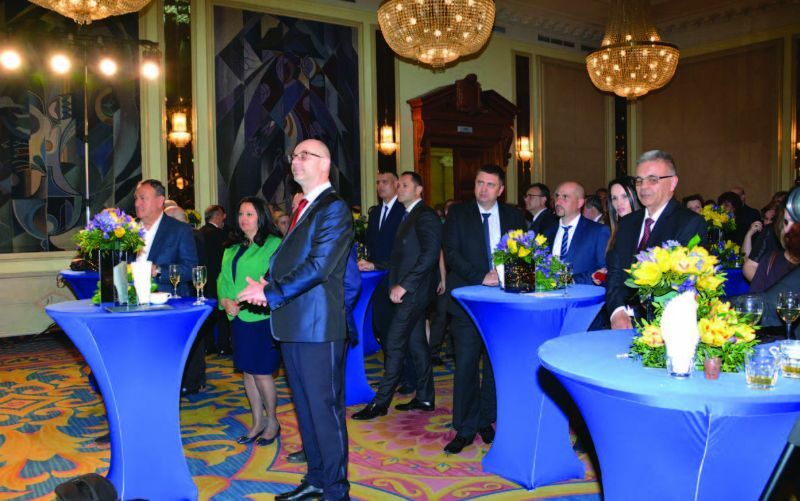 „One of the first people, who responded and arrived here, were the representatives from the MLSP – the social workers and those from the „Social Protection Fund”, pointed out the Deputy Minister of Labour and Social Policy Lazar Lazarov. „The Government has adopted an unprecedented program, which never before had been elaborated and implemented. It covered financial support and specific support for recovery and rehabilitation. I would like to note, that during these two years we had a very good partnership in between the municipality and the ministry. No confrontation exists between the local administration and the Fund”, pointed out the Deputy Minister. „Up to this moment an amount of BGN 3 754 720 was paid and accounted for. „Social Protection Fund” implements monthly check-ups at site in Hitrino, and this results in approval only of the expenditures, actually made for the executed and documented activities. The funds have been utilized publicly, all stages within the execution of activities have been implemented under a strict control”, the Deputy Minister Lazarov underlined. „I do not know if there are representatives of another sector, who always are first to help with machines, equipment and people in cases of natural disasters – conflagrations, floods, earthquakes, damages. Constructors are those people, about whom I can assert, are the biggest donors – they build churches and mosques, kindergartens and playgrounds, they support repairs of schools and they are the most responsible partner – both of the municipalities and of the state”, Eng. Iliyan Terziev pointed out. After the press conference a ceremony for handing in the keys to affected families was held. After that some of the fully equipped houses were presented.